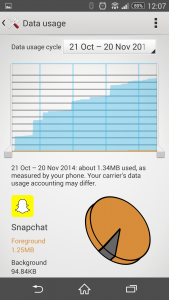 Snapchat is no stranger to issues, especially ones related to controversial privacy policies, and the latest update appears to have come bundled with an unexpected treat: increased data usage. Following the update at the end of last month, which introduced Snapchat’s ‘Discover’ platform, users started noticing that Snapchat has been using up a lot more background data than normal. 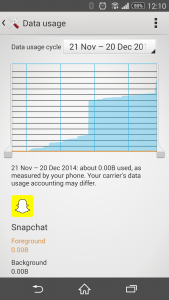 So much, in fact, that it’s eating through users’ monthly data allowances within a week or two. 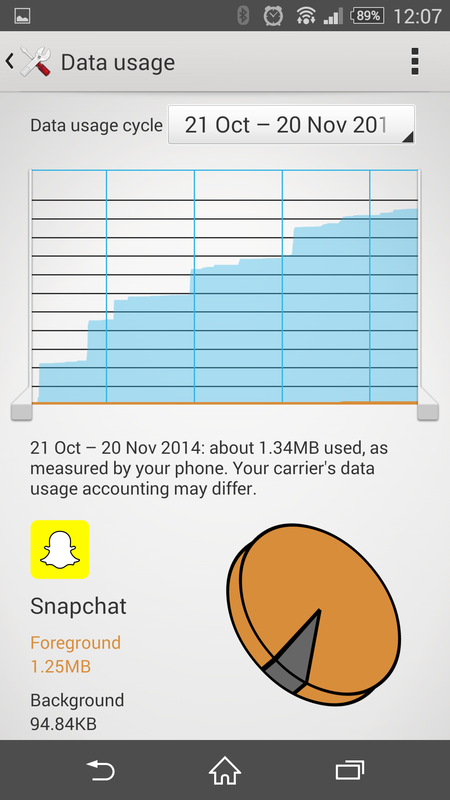 I decided to investigate this for myself, looking at how much mobile data Snapchat has been using over the past few months. 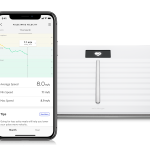 Lo and behold I found that this month the background data is considerably higher than anytime since I got my current phone. 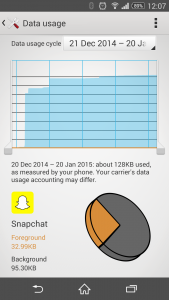 Bear in mind that this is all mobile data, and doesn’t include any stats from when my phone was connected to Wi-Fi. 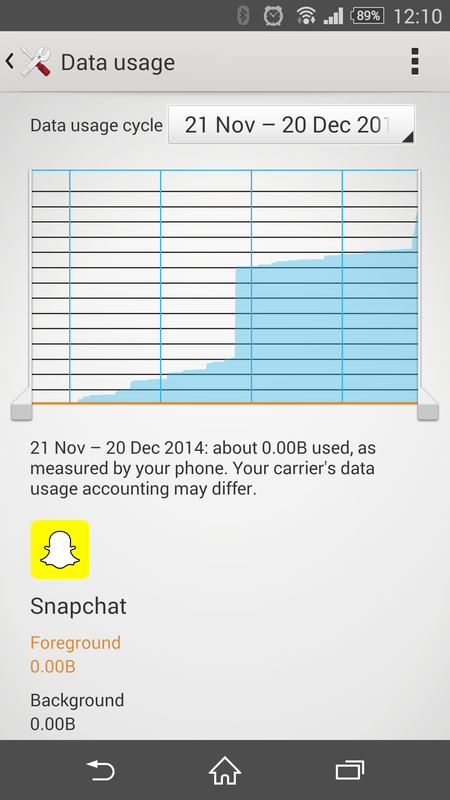 The time following the latest update is definitely the odd one out in terms of how much data has been used up. 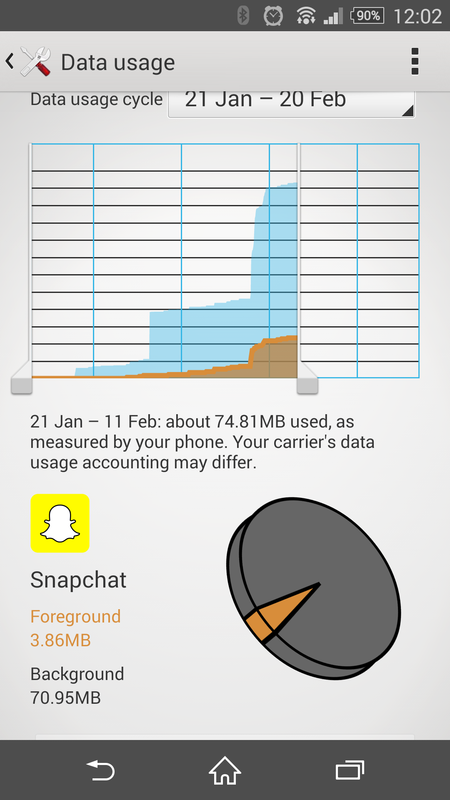 You can see the amount of data being used does spike, and it coincides with me disconnecting from Wi-Fi to go and visit my parents for the weekend. 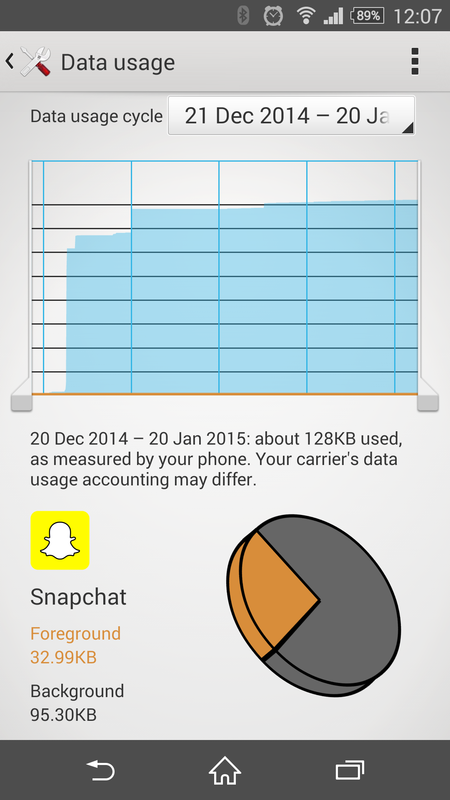 I spent a similar amount of time with my phone disconnected from Wi-Fi over the Christmas period, and the amount of data Snapchat used during that time was minimal in comparison. It certainly seems like the reported problems are not isolated incidents. Snapchat has yet to comment on the problem, so for the time being you’re better off heading into your phone’s settings and restricting background data for the app. Alternatively you could try and uninstall the recent update and stick to the previous version until the problem is solved.